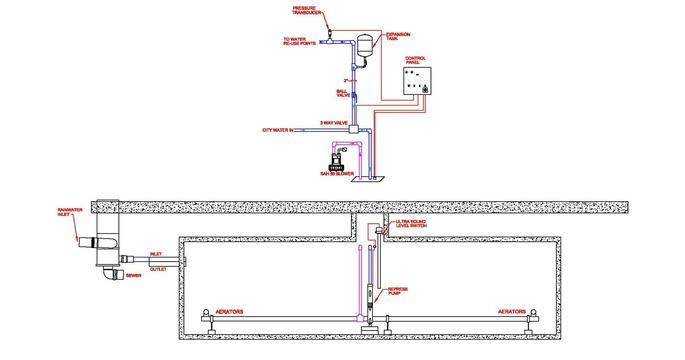 The Pro-Rain water harvesting system has been specifically designed to collect rainwater that falls on a location’s roof and/or paved lot. In most cases, the rainwater collected will be soft water and have a pH range of 6.5 to 7.5. -All rainwater from downspouts and lot drains flows into the Vortex separation unit where gravel, sticks, leaves, and other solids are separated from the water. These separated contaminants are then sent to the storm sewer. -Once the solids have been removed, the rainwater is sent to the underground storage tank where it is aerated to eliminate odor which can form in stagnant water. An ultrasonic unit floating in the tank sends out ultrasonic sound waves that destroy any algae that may grow in the stored water. 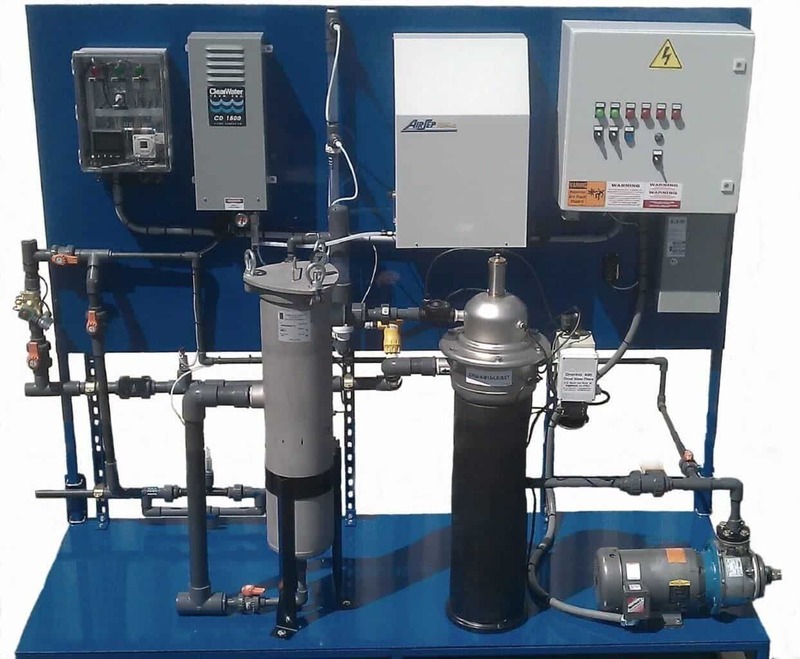 -When the stored water is needed for use, it is pumped back into the wash facility.